The UK Government provided £40m worth of funding for seismic surveys in the North Sea in 2015 and 2016. The Oil and Gas Authority (OGA) has urged North Sea operators to pick up the pace of drilling as it launches the next offshore licensing round. OGA bosses said they had done everything in their power to improve activity and called for operators to hold up their end of the bargain. A total of 1,766 blocks – covering 140,000 sq miles – have been put up for grabs across frontier areas of the UK continental shelf (UKCS) in the 31st licensing round. This includes large areas off the west coast of Scotland, the east Shetland platform, the mid-North Sea High sector and parts of the English Channel. Acreage off south-west England which has not been explored for 15-20 years will also be in the mix. About 50,000 miles worth of seismic data was made available to operators ahead of today’s launch. The UK Government invested a total of £40 million in separate seismic surveys in 2015 and 2016 to help generate the information. The application period closes on November 7, with the results to be announced in the first half of 2019. Though the latest round focuses on frontier areas, oil companies can ask the OGA to make blocks in more mature areas available. The decision was made in response to high levels of demand following the 30th round, which was hailed as a success when the results came out in May. Sixty-one companies shared 229 blocks or part blocks, and eight firm commitments were made to drill exploration and appraisal wells. UK offshore licensing rounds have alternated between focusing on frontier or mature areas for a number of years, mirroring the Norwegian system. But the OGA does not want operators to have to wait until summer 2019 – when the 32nd round will be launched − to stake their claim for mature areas again. OGA will only consider mature blocks this time if operators are prepared to make firm work commitments. 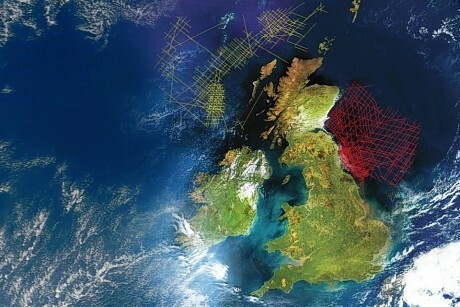 Gunther Newcombe, OGA operations director, said the regulator had answered oil companies’ calls for regular and flexible licensing rounds and the speedy provision of quality seismic data. Now he wants to see more drilling. Around 24 wells have been drilled on average per year from 2015 to 2017, and the same number is expected this year. But just three exploration and appraisal wells have been drilled so far in 2018, one of which focused on Apache’s Garten discovery. Mr Newcombe said: “We did what industry wanted. We’ve ticked all their boxes. What we want from industry is for them to drill exploration and appraisal wells. We want activity. Mr Newcombe also said legislation relating to the publication of drilling results could soon come into force, increasing transparency and bringing the UK in line with Norway. The Norwegian Petroleum Directorate publishes drilling results promptly online, but no such system exists in the UK.